Sanzinia madagascariensis can be easily distinguished from other species of Madagascan boas. Its head is triangular with numerous receptors in deep grooves giving them a very characteristic look. Sanzinias are variably patterned and colored snakes with two main variations: greenish (S.m.madagascariensis) and brownish (S.m.volontany). Neonate Sanzinia madagascariensis have much more contrastive coloration (usually reddish), but the color change occurs within two years. Females are larger than males. An enclosure for sanzinias should be pretty spacious – 1 meter long x 0.7 meters wide x 0.7 meters high (3.2 x 2.3 x 2.3 feet) would be enough for an adult female. Hatchlings can be kept in small boxes with air holes and some branches to climb. It’s important to remember that sanzinias tend to climb and spend time on the ground. Usually they like to bask on a branch under the hot spot from early morning till late afternoon. Later you can see them moving and searching for food or hiding in a hide box. In my opinion plastic made (PCV, PP) enclosures are the best, because you can keep snakes safety and hygienic. Usually, Sanzinia madagascariensis are not shy and they are not afraid of any movement around the enclosure, but it’s very important to provide them with a well-sized hide box on both ends of the enclosure, because they like to spend a lot of time in the darkness. , the gravid females spend most of nighttime in hide boxes. For Sanzinia madagascariensis you can use a variety of substrates because they don’t need high humidity. Probably the best choice would be a soft wood substrate like Aspen or Lignocel (these substrates are the most hygienic), but the coco chips, peat moss, or similar types would also be fine, while the easiest way to keep neonates is by using paper towels. It is recommended to keep your Sanzinia madagascariensis in a natural light pattern that mimics normal daytime with 10 hour cycle on/off. If you want to keep and breed sanzinias successfully, you should bear in mind Madagascar’s unique climate. Proper temperature in an enclosure is 24–25 °C (75-77 °F) with a hot spot of 30–31 °C (86-88 °F) and nighttime drop to 21–22 °C (70-72 °F). Seasonal temperature change is crucial if you want to stimulate a breeding season. I cool my sanzinias from late September to early December with a nighttime temperature drop even to 16 °C (60 °F). Remember that you shouldn’t cool down snakes which are ill or weak in any case. If the snake gets cooled one season, it’s a good practice to repeat this process every season. Every sanzinia should have a water bowl that is large enough for them to soak in. Water should be changed every 3 days or whenever it becomes dirty. Humidity level of 60-70 % is fairly enough for Madagascar Tree Boas. 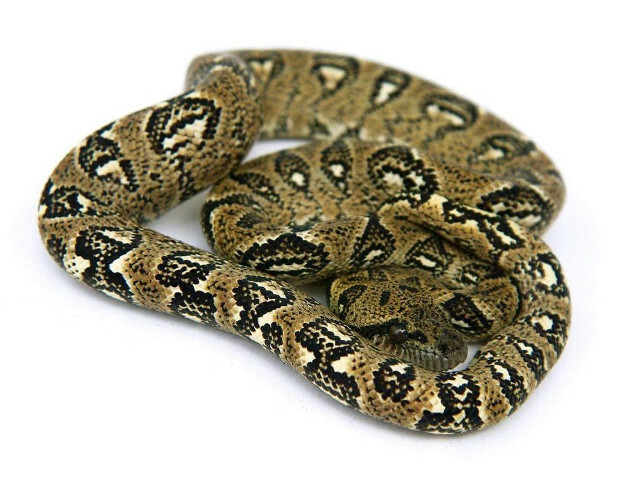 Many beginners tend to keep sanzinias in very high humidity and temperature, thinking that these snakes need similar conditions as Green Tree Pythons or Emerald Tree Boas, but this is a big mistake. The weather conditions in Madagascar are different and you should always remember about the unique climate of this island. If you want to breed sanzinias, you should stimulate a natural cycle of weather changes with only 3-4 months of higher humidity. Sanzinias are usually good feeders, but they shouldn’t be fed too often; it’s easy to overfeed them. 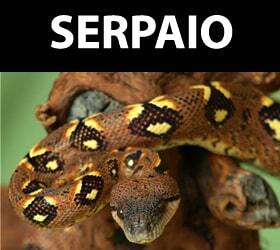 For adult snakes, one well-sized rat every three weeks would be completely enough. Neonates should eat an adequate size prey (mice, rat pinkies etc.) every 7-10 days. I use only frozen and pre-killed preys. Every Madagascar Tree Boa has its own “character”; in my experience the adults are rarely aggressive, most of my snakes are docile and a little bit shy and afraid when handled. Of course the neonates are much more aggressive. Anyway, you should be careful when handling adults, because Sanzinias are very strong snakes with powerful jaws despite their middle size. In my opinion, hygiene is a crucial thing if you want to keep snakes, no matter what species. The spot cleaning should be done regularly, while total cleaning and disinfecting should be done every 2-3 months. Sanzinias will shed well if you keep the proper conditions. Obviously it’s good to increase the humidity during the shedding time. CB snakes from unrelated parents are very strong and healthy animals. If you keep the proper conditions in enclosures there are absolutely no problems with sanzinias. Sanzinias are known for being very hard to breed. It probably results from mistakes mentioned before (too high temperature and humidity, lack of temperature cycling). You should also remember that these snakes are ready to breed when females are at minimum 5-6 years old and males 3-4 years old. Another interesting thing is that sanzinias like to copulate very often when mated, but without proper conditions the female won’t have babies.